The question comes from the sales assistant who’s unsure of how to invite me forward to the till. I am the only person waiting. 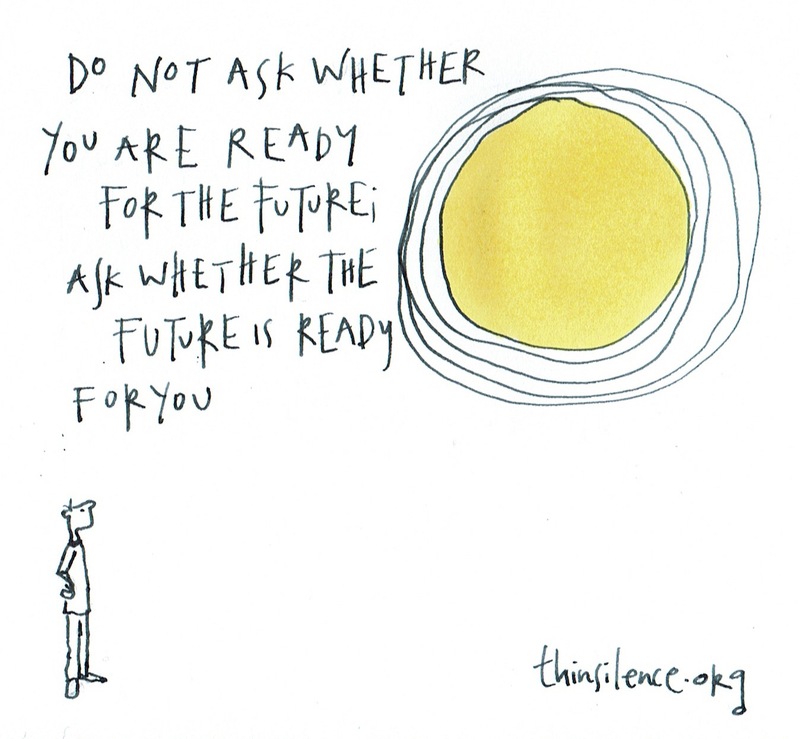 How do we invite the future to step forward, the multiple futures we cannot see? Our best tools will be the questions that emerge out of the questions we ask ourselves, then one another. Who am I? What is my contribution? Then Who are you? and What is your contribution? Which leads to Who are we? and What is our contribution?